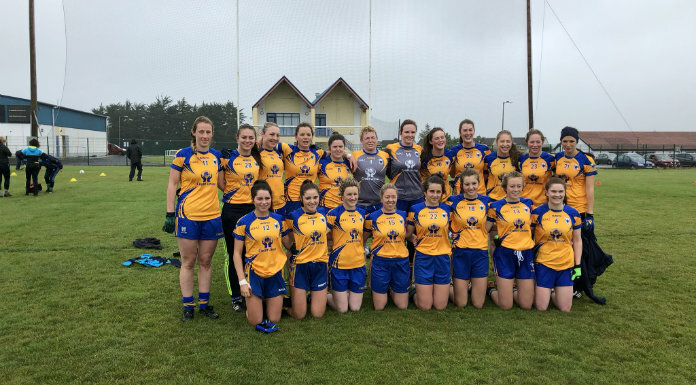 Clare have bowed out of the All Ireland Intermediate Ladies Football Championship after defeat to Meath at the Quarter Final stage. James Murrihy’s side saw their season come to an end after a 2-11 to 1-10 loss. It was the Royals who made the brighter start, striking for a goal through Fiona O’Neill inside the opening minute before adding a point to move 1-1 to 0-0 in front. Niamh O’Dea opened Clare’s account with two quickfire points to cut the gap before Fidelma Marrinan fired over to leave just the minimum between the sides midway through the opening half. The Banner were then awarded a penalty which Niamh O’Dea converted to send her side 1-3 to 1-1 in front. Meath struck back with the next two scores to tie up matters once more, and the Royals then found the back of the Banner’s for a second time to move three points clear on a 2-3 to 1-3 scoreline. Niamh O’Dea steadied the ship with another brace of points to reduce the gap to two points as the sides headed to the dressing room with the Banner to have the aid of the breeze in the second half. Meath were again first out of the blocks after the restart and hit three points in a row to go 2-7 to 1-5 clear. Niamh O’Dea then hit another two in a row to cut the gap back to three as the game entered the closing quarter. Fidelma Marrinan then struck her second point of the game to leave Clare trailing by 2-7 to 1-8 but Meath responded with a quickfire trio of scores to establish a five point lead with just ten minutes left to play. O’Dea was on target with another brace to take her tally to 1-8 and leave Clare just three points behind as the final whistle loomed. Late pressure almost saw Clare get in for a goal that would levelled the game but it was Meath who struck for the insurance point and seal their place in the last four.